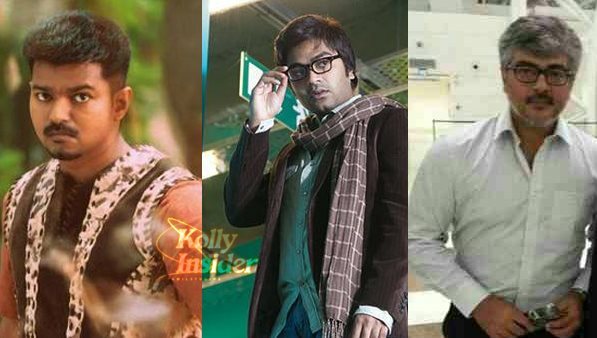 Actor Simbu who is known to be a huge fan of Thala Ajith has come out openly to request fans to stop trolling actor Vijay. "As a true #Thala fan I request fans and haters to stop negative tags since that's not our intension and what v r ... #Liveandletlive Thanks." "My kind request to Vijay Anna fans as well to stop trolling and hurting others and that's not what u give back to ur star as a true fan. I request all fans of any big or small stars to show their love and support for their beloved star instead of hating and putting down others," he further tweeted. "I understand every fans intention to give it back but do it in a positive way and show ur power and love instead of negativity #spreadlove. I can very well utilize the situation to those who trolled and insulted me ..But let's us b matured and humane since that's r true nature," he concluded.